Target learning gaps with the 4 solutions every teacher needs. Two hours are spent creating differentiated lessons for five students who are below grade level. Just five minutes are spent getting students signed in. Moby takes it from there. Three hours are spent building a test, plus extra time to map individual student progress. Just five minutes are spent picking which students should take the assessment. Two hours are spent researching and creating a lesson in Microsoft Word. Just ten minutes are spent selecting Whiteboard Activities and Printable Worksheets from Moby’s half-a-million manipulatives. Achieve remarkable growth with real rewards that motivate student effort through contests, challenges, celebrations, and prizes. Three hours are spent gathering crafts, filling in progress reports, and putting together a classroom bulletin. 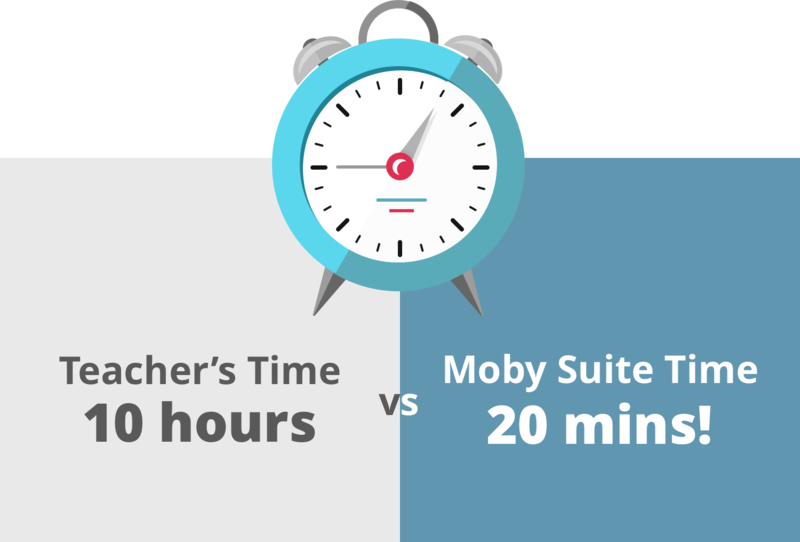 Select a start date and Moby does the rest, from contest creation to leaderboard updating to shipment of prizes.